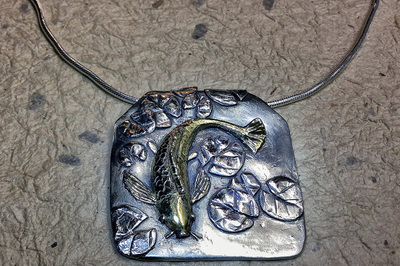 I explored many media for jewelry making, but when I found Art Clay Silver (ACS), I felt I arrived home. 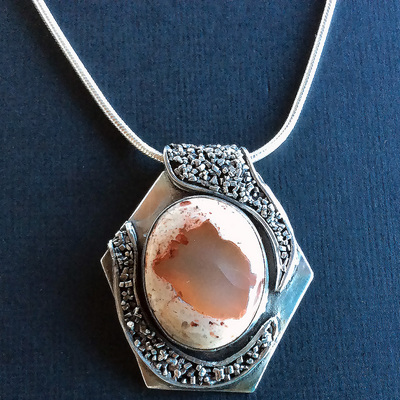 ACS is mixture of fine silver powder and organic material which comes as a form of clay. 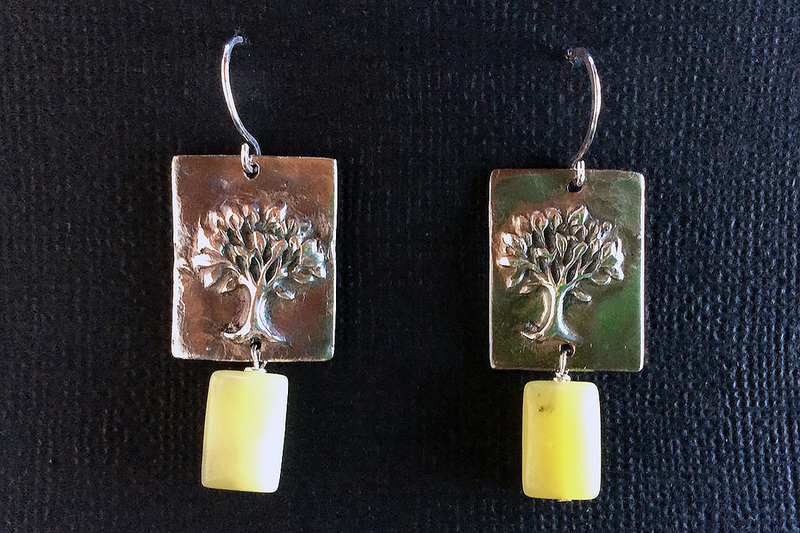 During the firing process, organic material burns off and silver fuses; as a result, the piece turns into 99.9% fine silver. 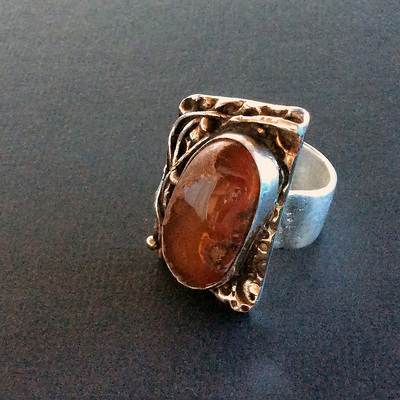 I use freshwater pearls, semiprecious stones and Baltic amber with sterling silver to finish my designs. 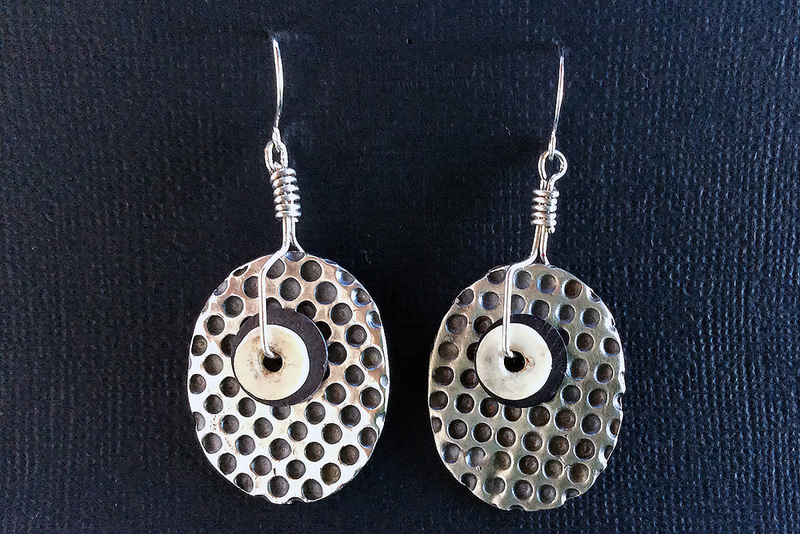 My ear wires and ear posts are always sterling silver. 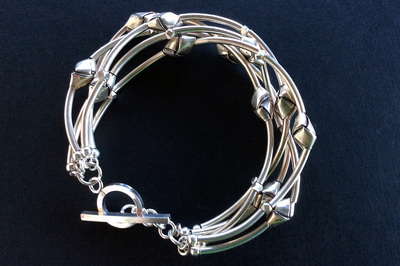 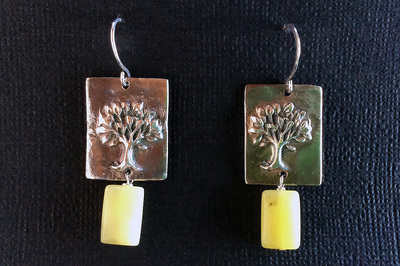 Although I repeat my designs, since each piece starts out from a lump of silver clay, every completed piece is uniquely different from the others. 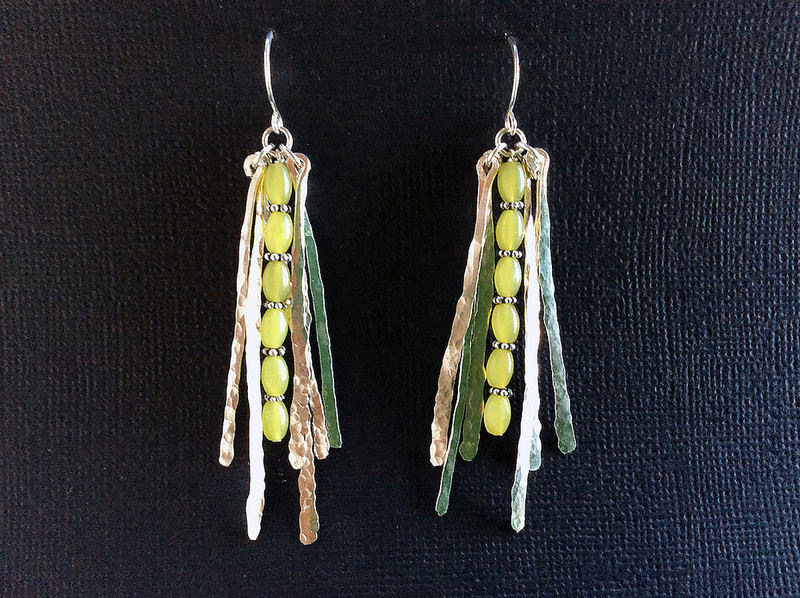 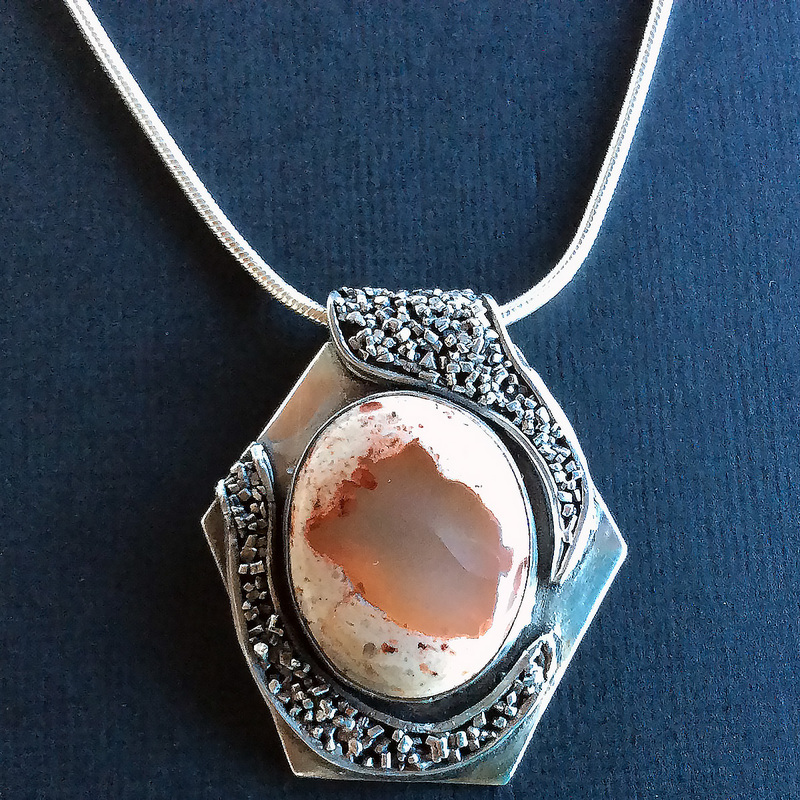 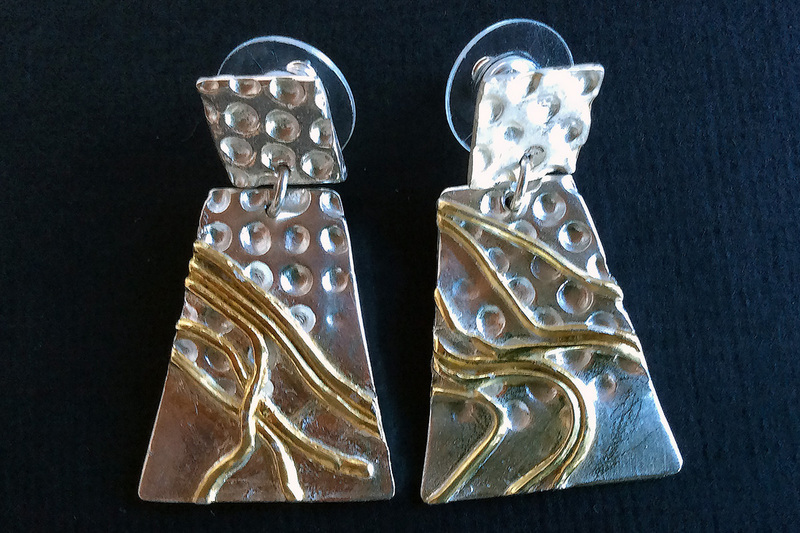 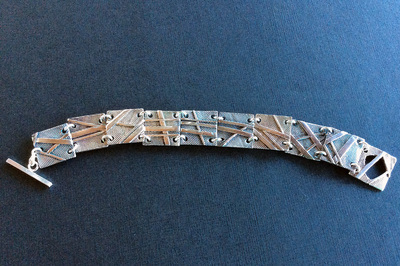 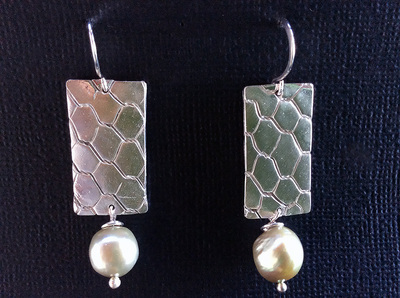 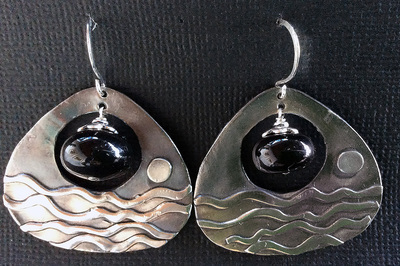 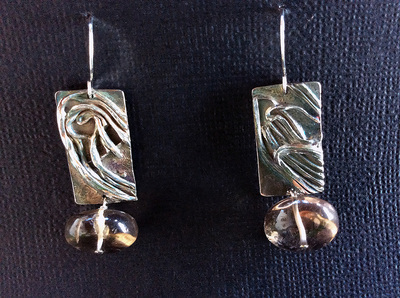 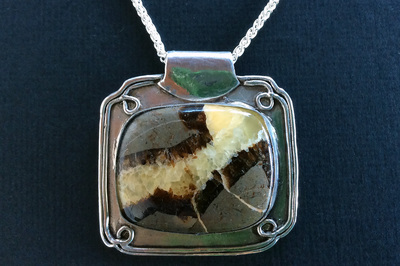 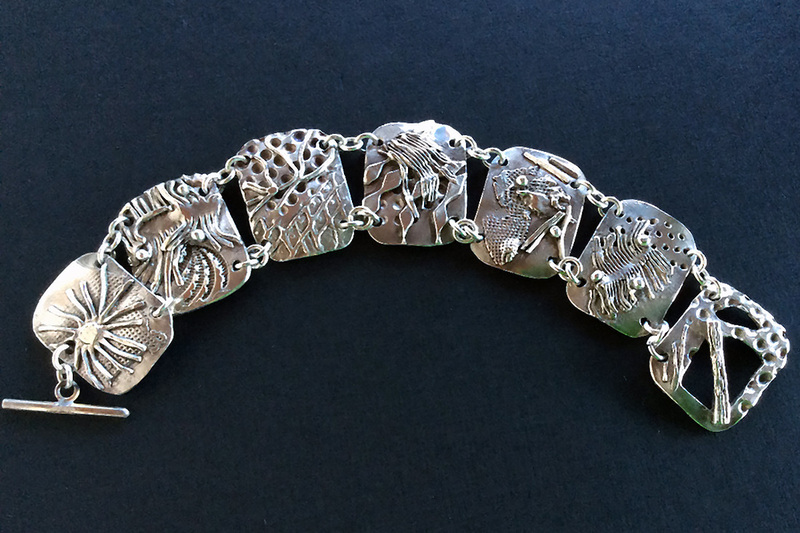 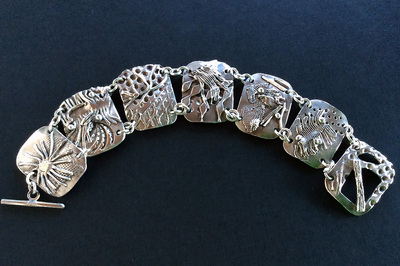 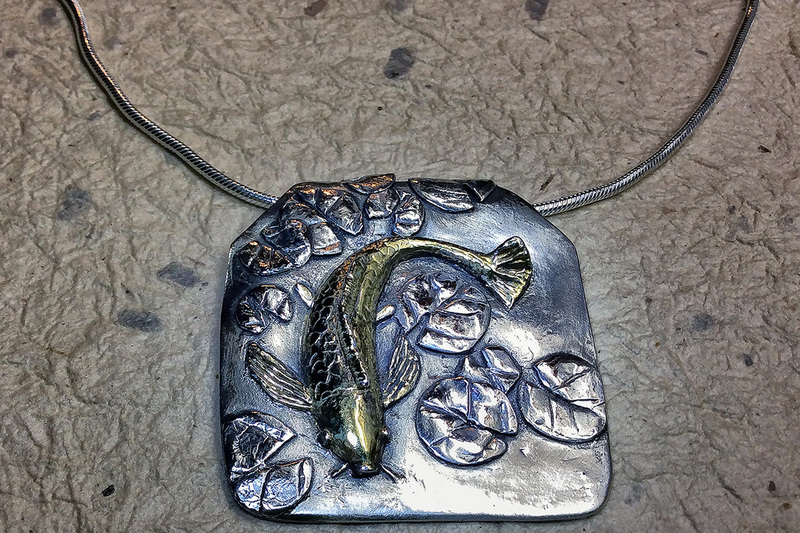 Living on Whidbey Island, my sculptured fine silver pieces are inspired by the incredible nature that surrounds me. 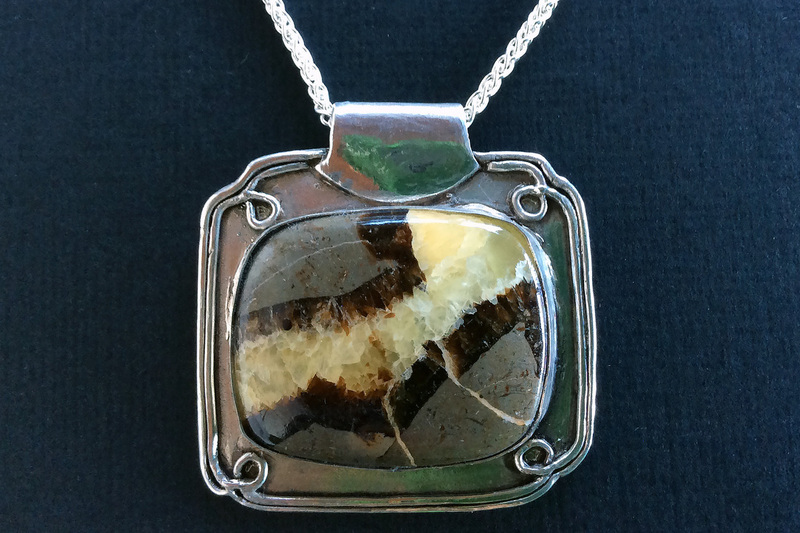 People whom I’ve never met or never will meet visit this quaint little town and purchase one of my pieces for themselves or take home for someone special. 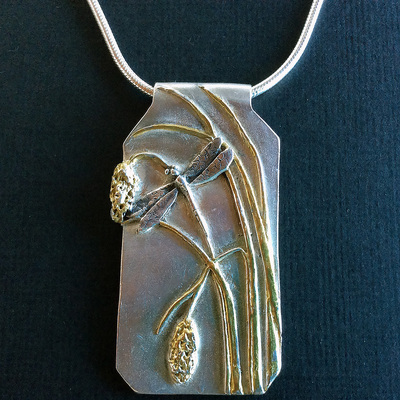 I simply feel grateful that my pieces are appreciated and wish them happiness.